An increasing number of students are returning to school after the winter break with shiny new mobile devices in hand. This excites me as I rely entirely on my students devices and a BYOD policy to integrate technology into my classroom. That said, I’ve trained lots of teachers who are hesitant to embrace mobile devices. Many teachers fear that allowing students to use their devices in class will only distract them and compromise the learning environment. My experience has been the exact opposite. 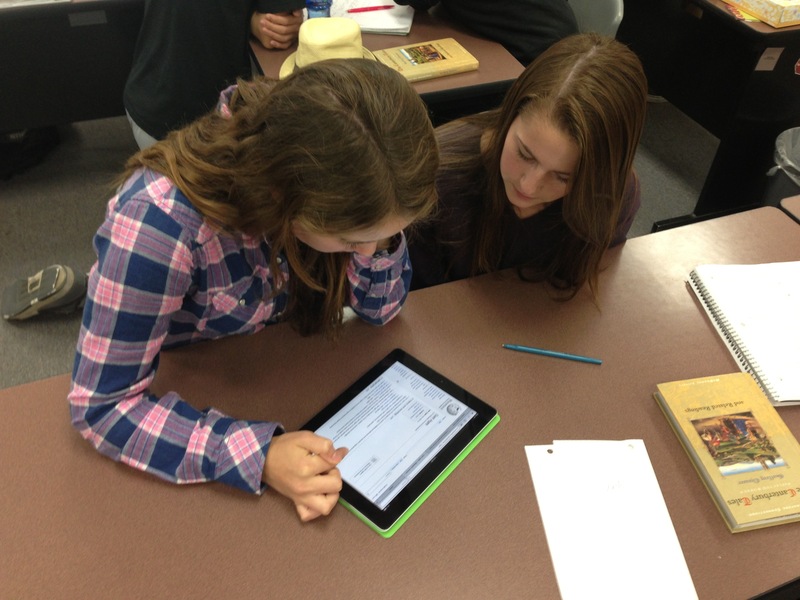 Allowing students to use their devices in the classroom has been absolutely transformative! When class begins, my students know they need to put their devices volume off and screen down in the corner of their desks. When it’s time to use their devices, I simply say “screens up” and they know they can use their devices. 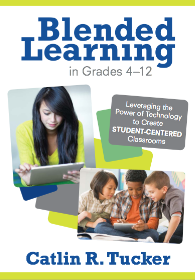 If you treat your students’ devices as learning tools, the perception of them in the classroom also changes. Students begin to recognize the value of their devices for research and exploration. 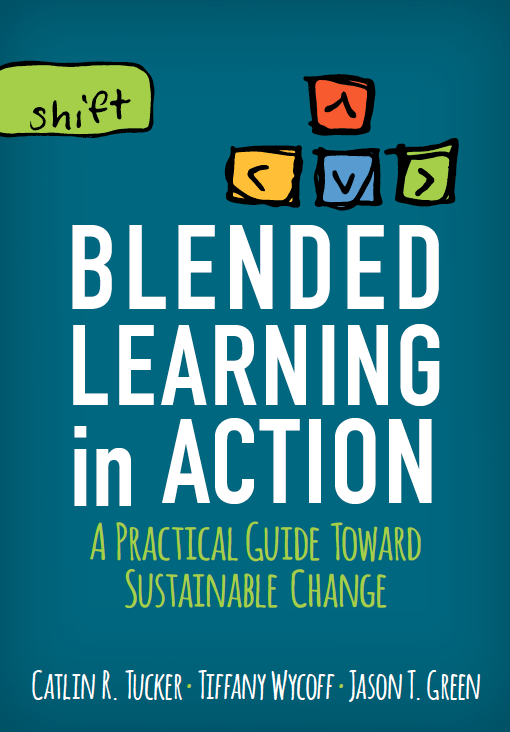 They shift from potential distractions to tools that engage. When students are taking a quiz or exam, use a phone cubby to neatly store their devices. I bought this Christmas ornament organizer and used that to create my phone cubby. Students know they must put anything with a screen in the cubby during testing. “What if every student doesn’t have a device?” My answer, “They can share.” If you create a culture of sharing in your class, then using devices encourages collaboration. It does not create a huge divide between the haves and have nots as many teachers fear. In fact, I prefer the energy in the room when multiple students share devices. They lean in, they ask questions, and they have conversations. I’ve got go-to apps I use with students all the time. 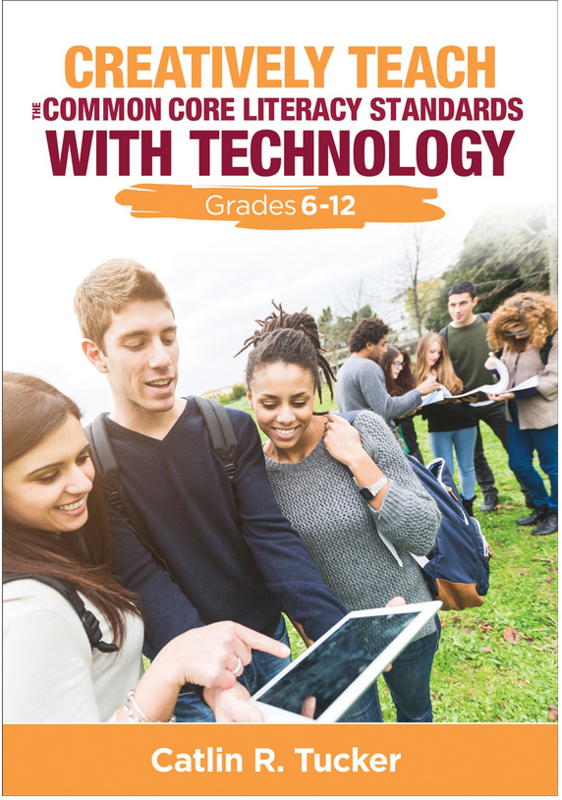 I encourage students with devices to download different apps to use both inside and outside of the classroom. 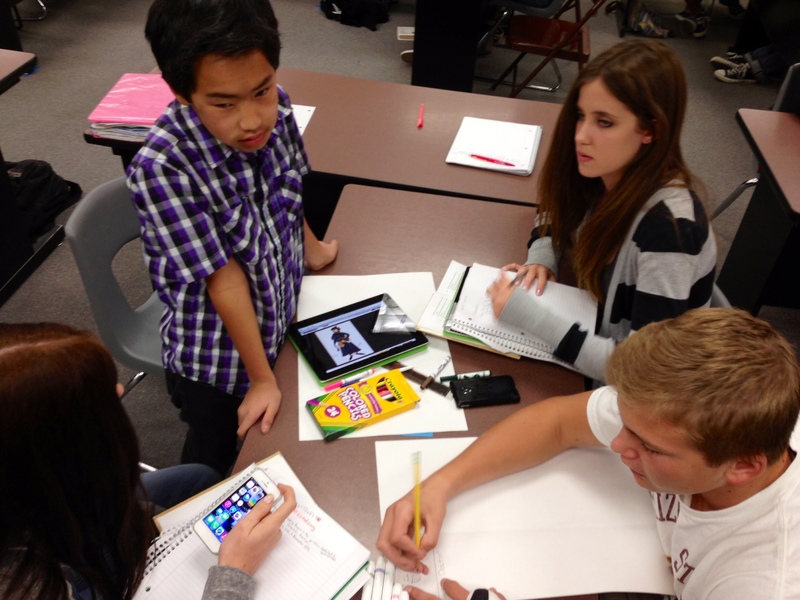 Using a variety of apps with students cultivates technology fluency. 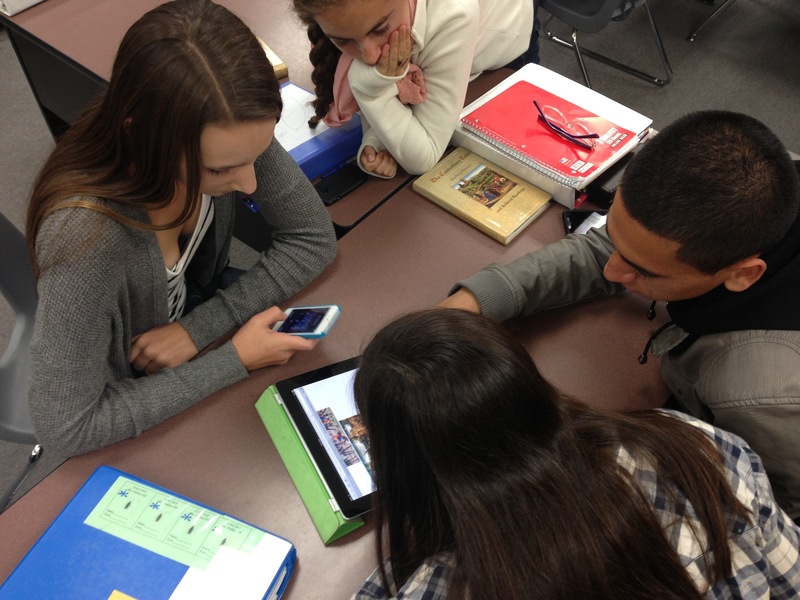 Students begin to understand how to leverage apps for learning. Over time, they develop the ability to evaluate a situation and select the best app or tech tool to a given task. Over the course of the next few weeks, I will be sharing my favorite apps with ideas for how teachers can use them with students! 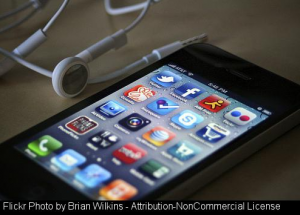 If you have tips for managing mobile devices, please share them. AWESOME!! I want to know everything! Definitely want to impliment it in our classes this year. Thank you for sharing. 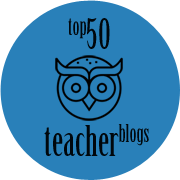 I am sharing your post with our teachers. Hopefully your tips will alleviate some of their concerns about BYOD. Great ideas! I like the term “screens up”. Establishing classroom protocols and language is so important in any case. Thanks for this tip. I also like your use of an ornament box. 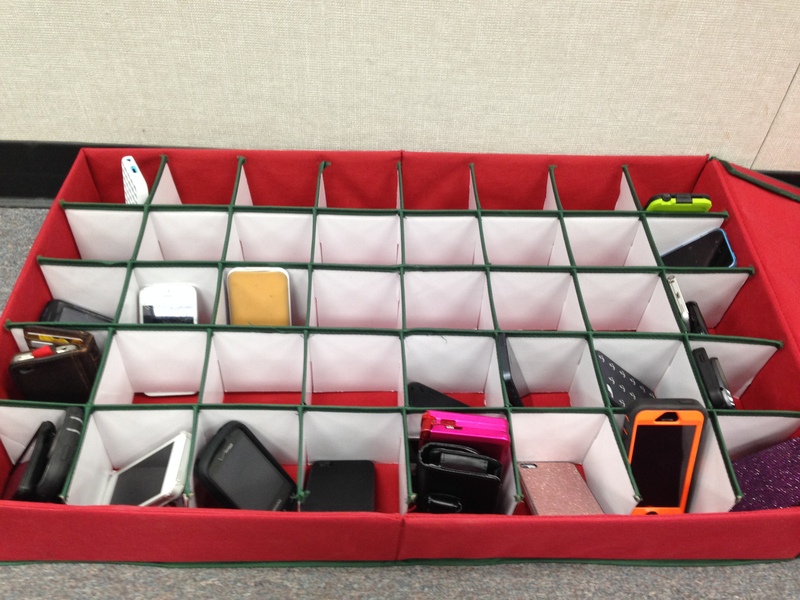 I have tried a basket, and students panicked because they couldn’t find their phones quickly. I have had students use mobile devices for Today’s Meet and found success, which I wrote about in a recent blog post (http://kdesjadon.blogspot.com/). I’ve transformed some of my assessment pieces (tests in physics class) to be application based enough that the students may use their devices and the internet and any of their notes to answer the questions. I’ve loved it so far! 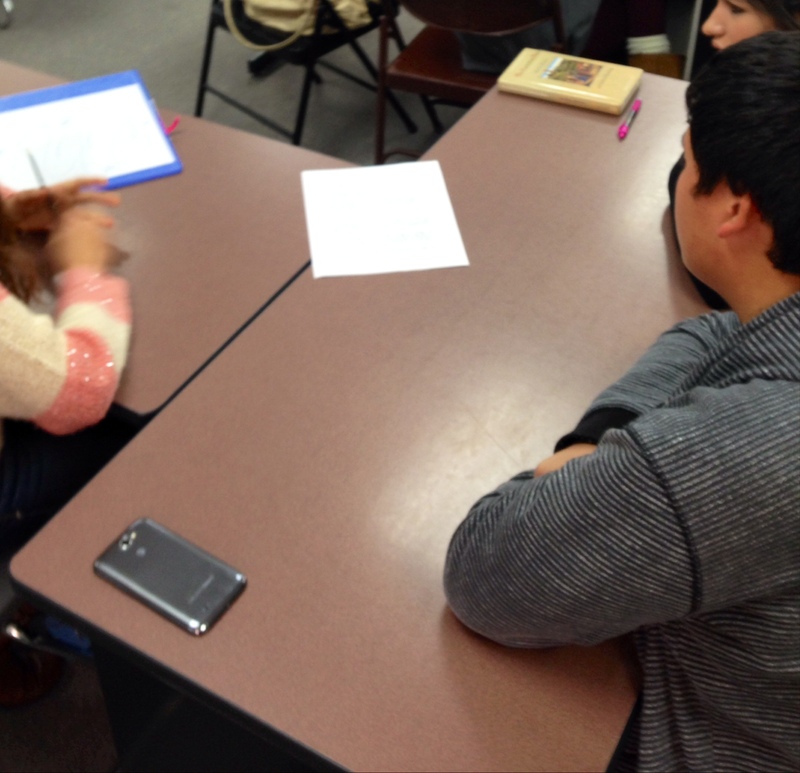 In “real life” assessments, students are usually allowed tools. 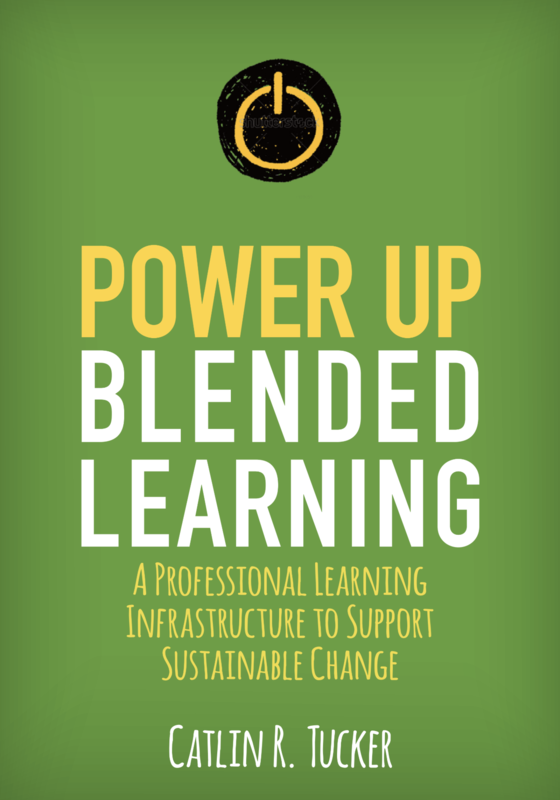 Why not use this as an opportunity to ask more engaging and applicable questions? I’m glad to hear this approach has been well received by students. Real life challenges make so much sense. I have always been NO PHONES in class…well I can see it coming, and there’s a change on the way. I can’t fight it anymore. We have a no electronic devices during the class time policy, which I can see as a “fight the battles you can win” type of thing. I can’t win this one, so it’s time to use them to my advantage during class. The times they are a changing!!! Nice share!! it’s important to create a learning environment by implementing technology, that’s how students & teachers can leverage a common platform for sharing information, though managing these devices is an utmost requirement which can be achieved setting the devices in kiosk mode and allowing only required apps, websites and content to be accessed.